The Friends of Hill Public Library has cooked up a sweet spring fundraiser! Help support your library by purchasing a pound of old-fashioned country fudge made by the Mill Fudge Factory, a family-owned shop located in Bristol, NH. 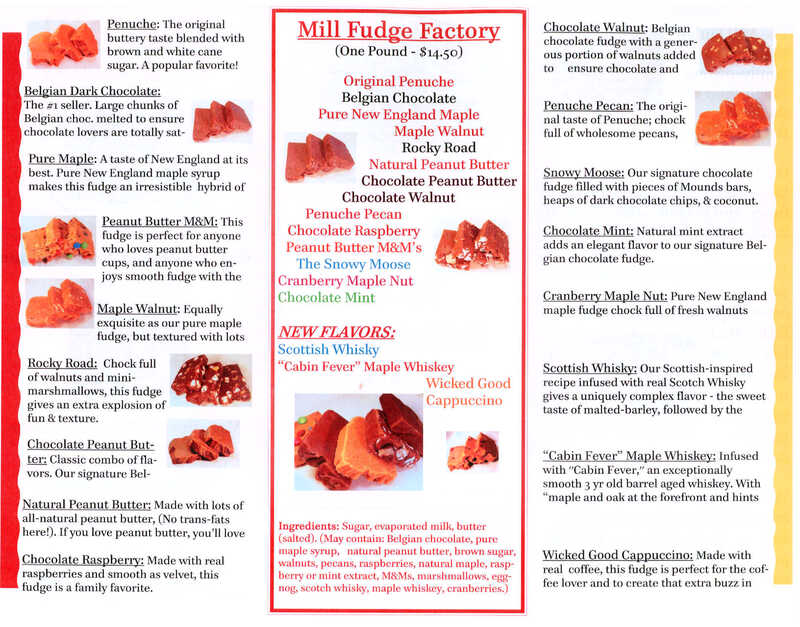 A list of available flavors is provided below (click on the brochure to zoom). Orders may be placed at the library by April 9, and the fudge will be available for pick-up May 3~7; just in time for Mother’s Day. Call 934-9712 for more information.